Mike LeMay is an author, radio talk show host and General Manager of Q90 FM Christian Radio Station in Green Bay, WI. He has extensively covered and studied news, trends and issues pertaining to the Christian life, pointing people to the truth of God’s Word. 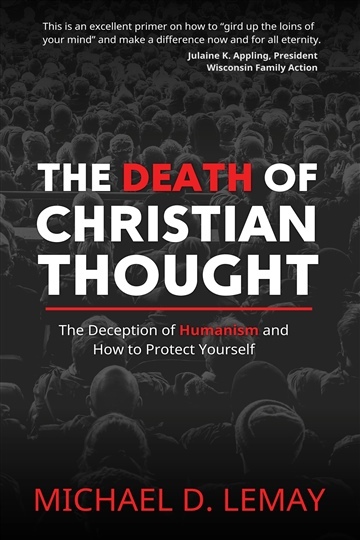 His latest book The Death of Christian Thought: The Deception of Humanism and How to Protect Yourself has received critical acclaim for its insight into how Humanism damages the thought process of many people and leads to a life of anxiety and worry instead of peace and joy. Mike is also owner of Beatitudes Consulting, and meets with families and business professionals to help them find joy, peace and purpose in a world that tries to overwhelm and distract us.